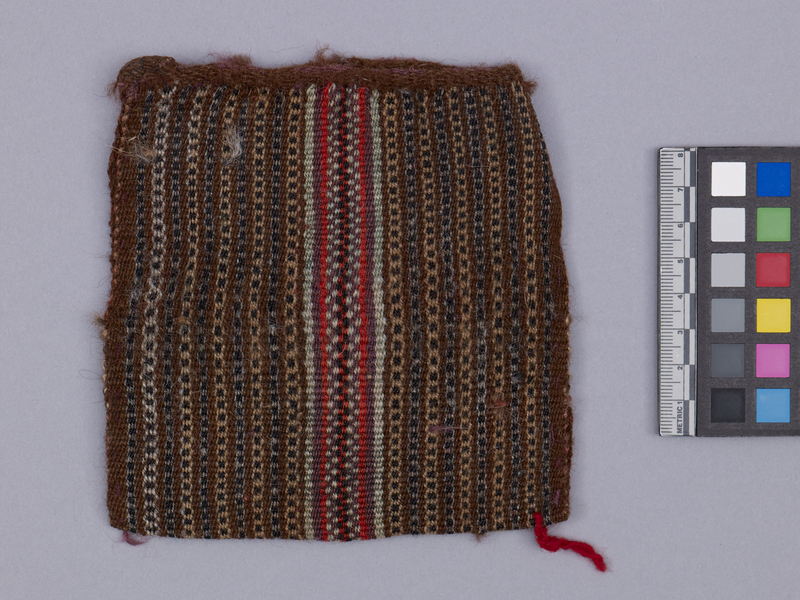 Item number 2946/60 from the MOA: University of British Columbia. 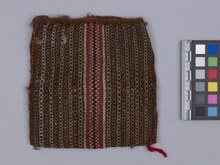 Small, brown, square, woven bag with a vertical red stripe down the front and back. The red band is decorated, at its centre, with black, purple and green checks and has a green and purple border. The brown areas are decorated with light brown, grey and black chain-link designs. Bag for money or coca leaves.